Swiping to your MLS club. 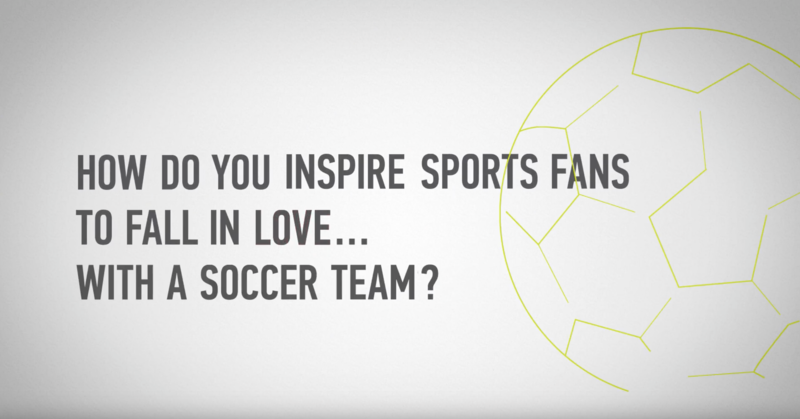 Inspire a new generation of sports fans to connect with MLS clubs in a fun and fast way. The MLS Matchmaker web app. 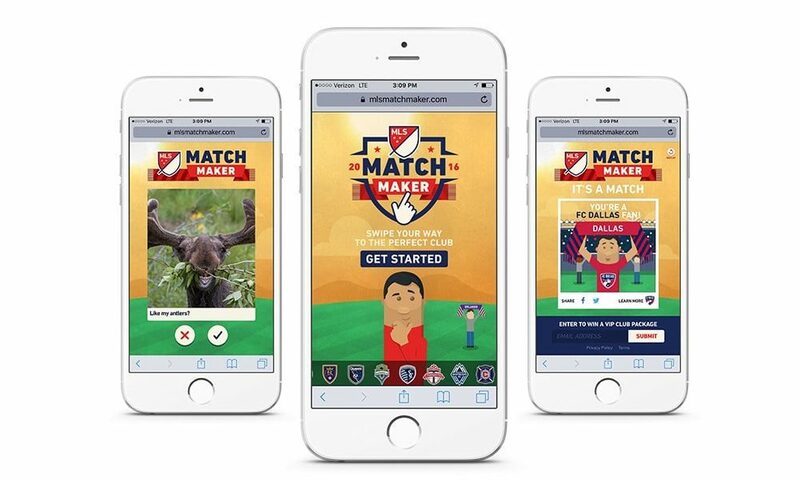 It’s an addictive, quick game we created where you swipe your way to the perfect MLS club. During the game, 10 random images or GIFs appear and the user chooses which content they like. The MLS Matchmaker then calculates which club is a match based off of the user’s choices. The game culminates with a shareable, animated GIF that triumphantly announces the user’s ideal MLS club. The MLS Matchmaker hit all its goals with 13,000 unique user sessions that displayed an incredibly deep level of engagement. Users played and played, over and over again – the average user session lasted an astounding 2 minutes and 9 seconds. With 20 MLS clubs and 160 images and GIFs, the MLS Matchmaker has over 32,000 possibilities. That’s 32,000 possibilities for sports fans to become soccer fans.